At DreamWork Financial Group, our goal is to achieve your target return while taking as little risk as possible. This is done in a way that matches who you are and what you hope to accomplish with your investments. We have developed a system to help our clients achieve the optimal risk / reward combination through a simple, interactive questionnaire. This specially designed, proprietary questionnaire will determine your DreamScore™. Your DreamScore™ is an integral part of the system we have designed to optimize the risk / return structure of your portfolio. We utilize this metric to identify your “investing personality”. Your “core investments” are then selected from a variety of targeted investment funds. 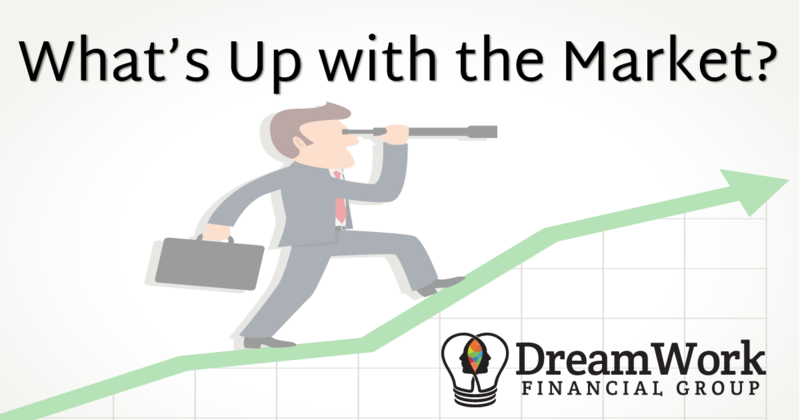 We filter through the millions of potential investments for you and identify those that match the DreamWork philosophy as well as your investing personality. Our “core investments” philosophy is based upon our belief that passive investments, such as low cost index funds, usually outperform active fund managers in the long term. So we will develop a combination of funds designed to enhance your portfolio’s overall profitability. We do this by targeting well performing sectors within the general index funds to maximize your expected return while staying within your risk appetite. Think of this as the part of your portfolio that we will put on “autopilot.” If you think of the DreamScore™ System as a solar system, the broad index funds would be the sun, and the planets revolving around the sun would represent the targeted sectors we utilize to maximize your expected return. For those looking for more personalization, we offer “Satellite Investment Baskets.” In the solar system analogy, these would be the moons revolving around each planet in the solar system. These small baskets are custom built, actively managed, and can contain funds or individual stocks. Active management is the philosophy that an investment manager or investment management system can outperform the market in the short term, by timing investments (buy low, sell high) or speculating on the future performance of a company, product or service. This type of investment is, by nature, more risky and speculative. However, this is where we can really capitalize on your specific thoughts on the market. DreamWork Financial Group has a wide variety of vetted investment options from political “plays” to sector-specific investments, hedging, and more. In addition, if you have a stock, fund or sector you would like evaluated for inclusion in your “satellite basket” just let me know. And remember, at DreamWork Financial Group, I am only paid to make you happy, not sell you a product. So, don’t worry about me trying to steer you into a particular offering.